A surprise last month when I received a text from Lisa V, "wow, great full page spread!". Turns out Wills Wing used a pic Ryan Voight took of me at Heber this past summer. 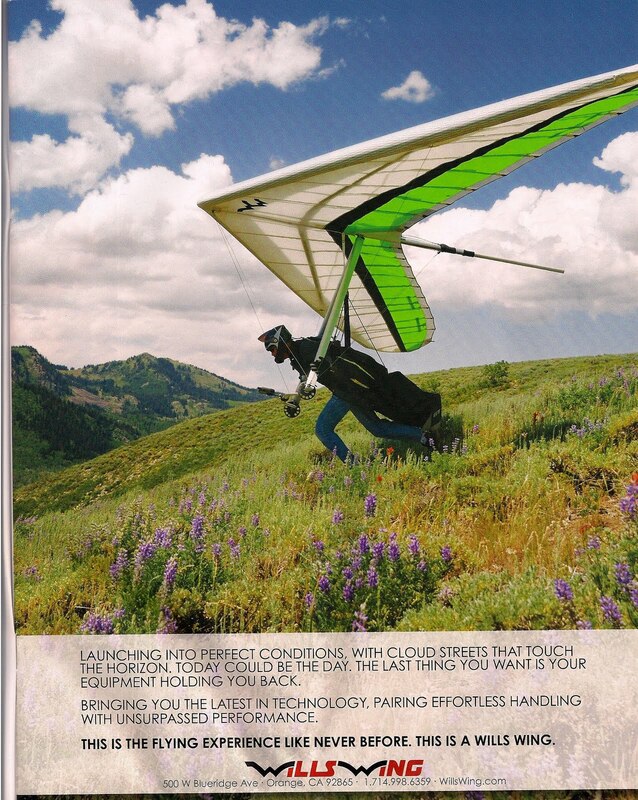 The ad is a nice full page spread. 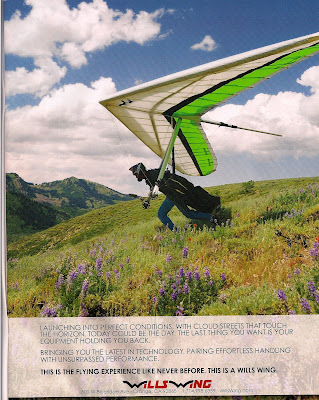 The pic was also used for the USHPA annual hang glider calender.